I think every woman should have a charm bracelet. I got mine when I was 9 years old. I added charms to it regularly, but stopped getting them for a few years. Well, I am officially starting to collect again! A hurricane palm, peel and eat shirt and a honey bee. The hurricane palm would be for Hurricane Katrina, the shrimp for the Gulf Coast and the honey bee because my grandfather used to raise bees. Other cute options would be a tiger, (go Mizzou! ), an anchor (I just love them) and an hourglass. My grandmother has an hourglass (with real sand!) on her charm bracelet that she's had forever and I think it would be cute to have one too. I also have a magnolia, to represent Mississippi where I was born, that I can't wait to put on. Do y'all have charm bracelets? 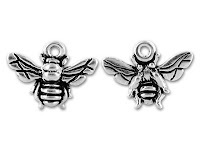 If so what's your favorite charm? What does it mean to you? The hurricane palm and peel and eat shrimp are from an adorable site called DixiePatches. They have lots of cute different charms. By the way, make sure to check out Caroline and my new blog ClaireandCare on Wednesday to see what we're loving (I love whoever came up with that!)! 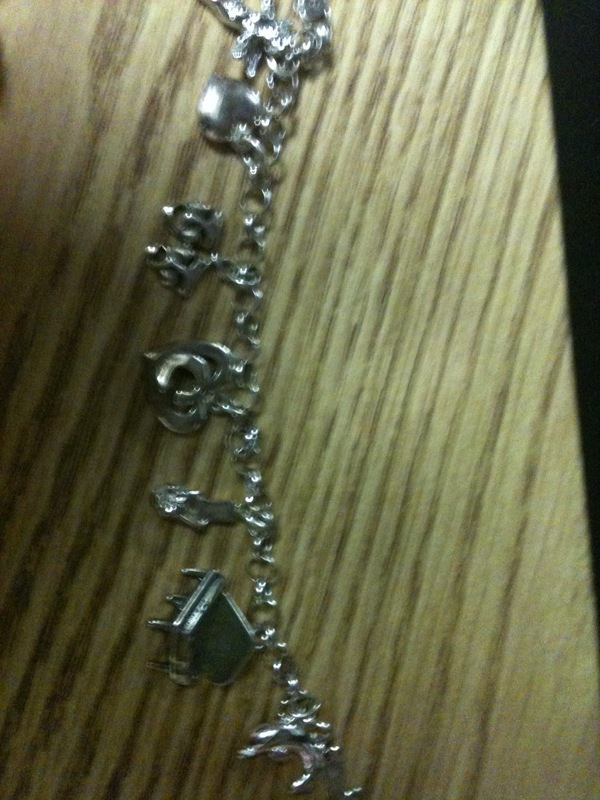 I love my charm bracelet! I think charm bracelets are so neat, because each one is like a little story! Hope you have a wonderful weekend! LOVE it! 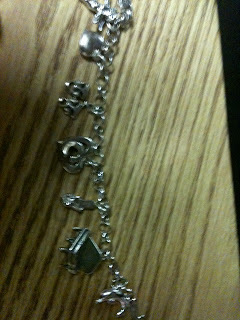 i received my first charm bracelet when i was 13 and since have collected so many charms that i fill up TWO! great blog! i'm new to all this, so please stop by! also, i saw in your about me that you are debbing! a few of my closest friends did it this past summer and had such a great time!